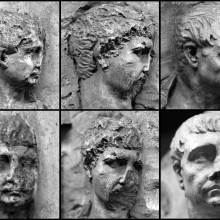 The four faces of the pedestal of the Column of Trajan in Rome. 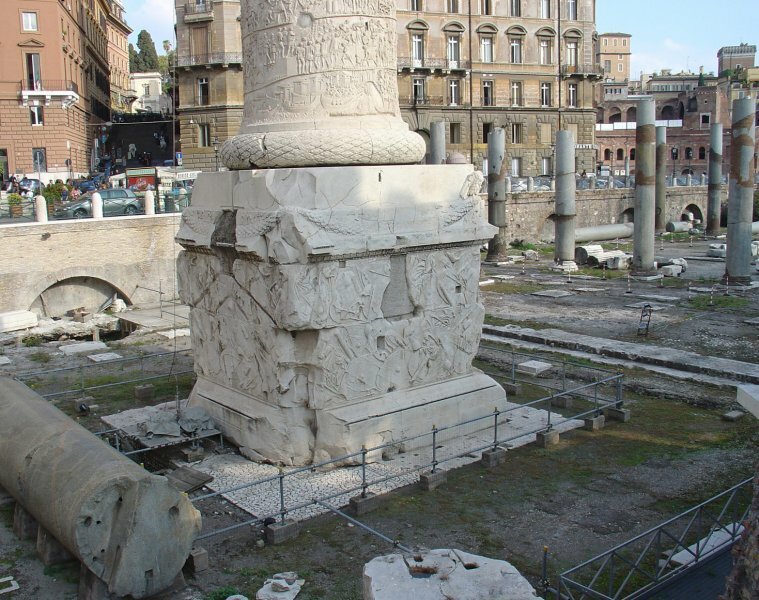 The marble pedestal of the Column of Trajan is oriented NW-SE to the main grid of the Forum complex, on line with the short axis of the Basilica Ulpia. 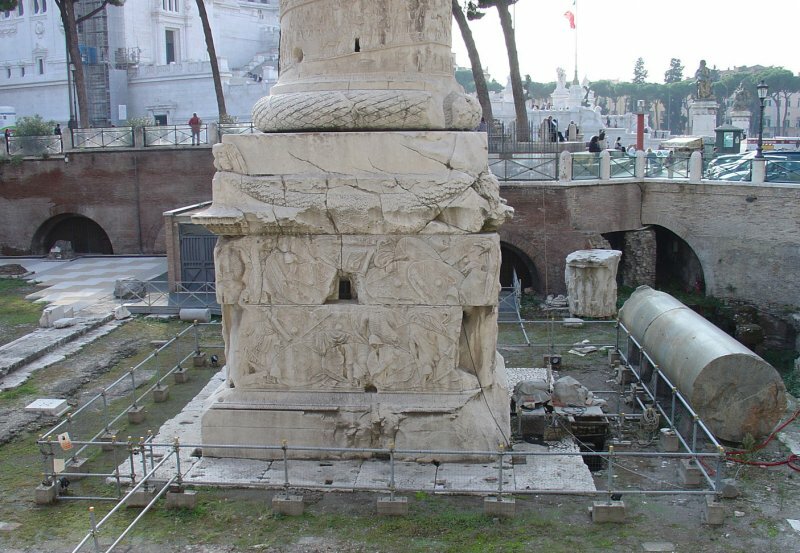 Supported upon a foundation of travertine, the pedestal was built in the form of a rectilinear box (Italian: forma di dado). 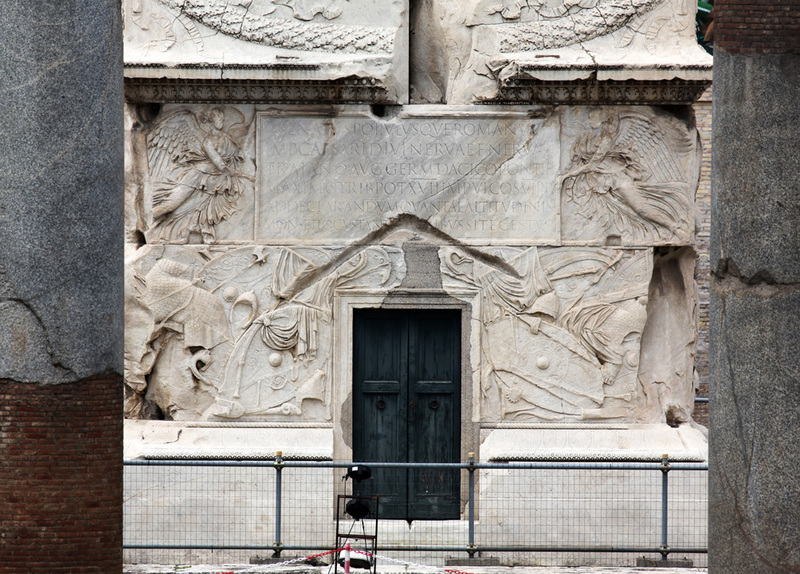 Its principal side (SE) faced the Basilica, and included a doorway (once closed by a double-leaved bronze door 2.05 m high and 1.04 m wide*) and the dedicatory inscription carved on a panel held aloft by flanking winged victories (images and discussion here). 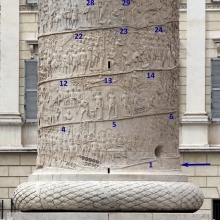 Eight massive blocks of Luna marble were used to construct the pedestal and plinth of the Column. 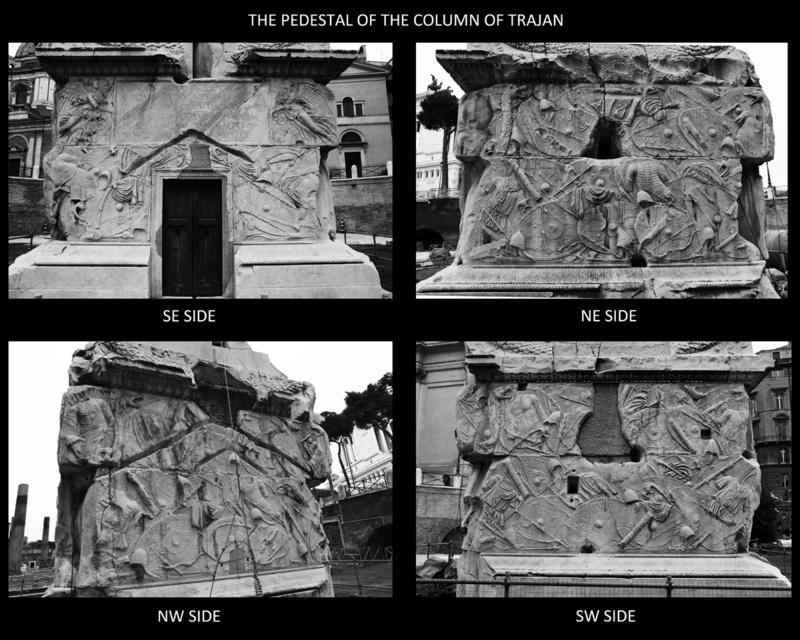 The pedestal itself is divided horizontally into three zones: a base with its moldings (total height 1.35 m), the four faces of the pedestal proper (each face 2.95 m high, ca. 10 R.F. ), and a crowning compound molding that includes a cornice (total height 1.07m). 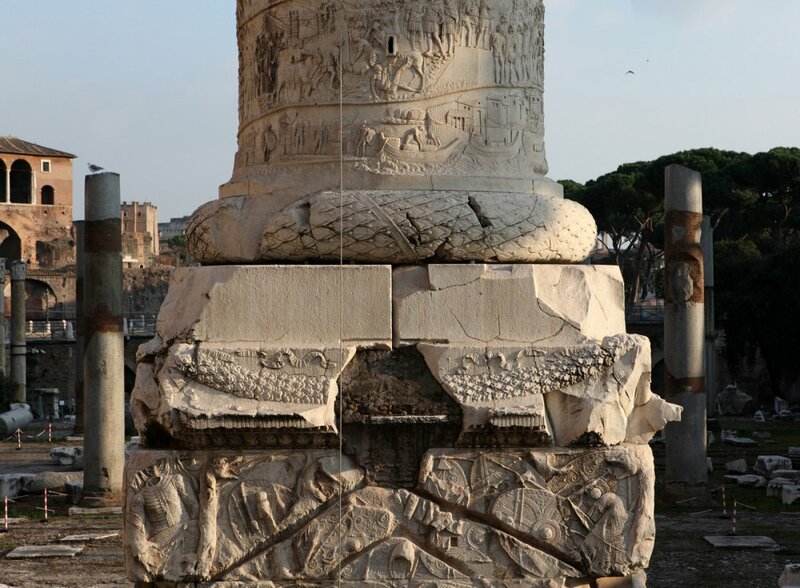 The vertical faces of the pedestal are decorated with depictions of captured arms (as if the Column sits upon a pile of war spoils (congeries armorum), like a traditional trophy). 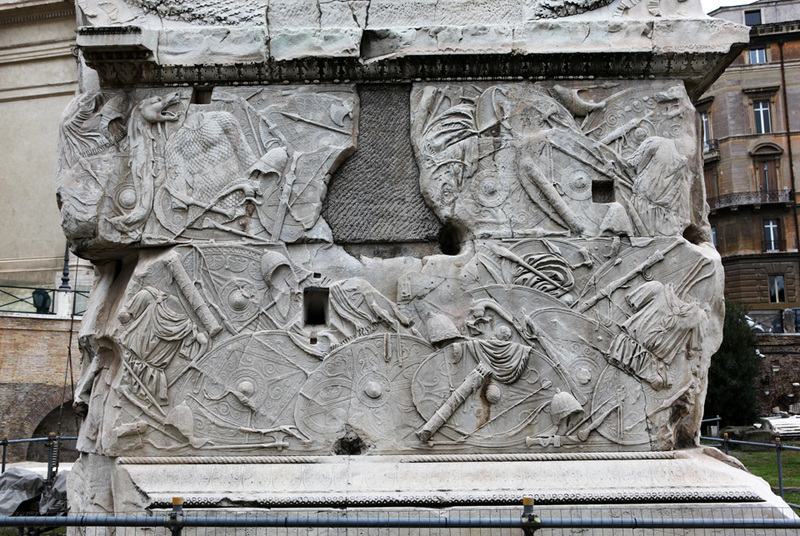 A frieze course above the the crowning molding (considered here as part of the pedestal) was carved with garlands made of oak leaves. 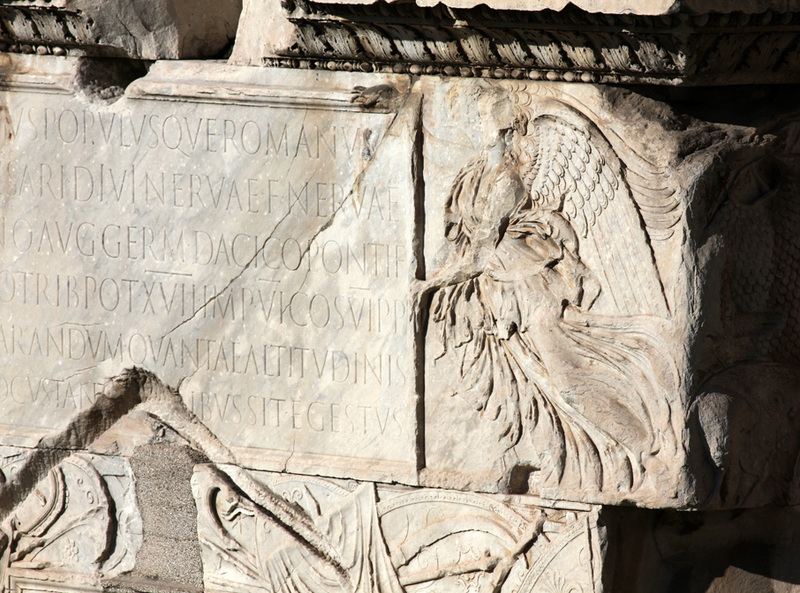 The association of the oak leaves with Jupiter was more directly alluded to by the eagle carved into each corner of the otherwise plain plinth (two are partially preserved; see the photo gallery below). 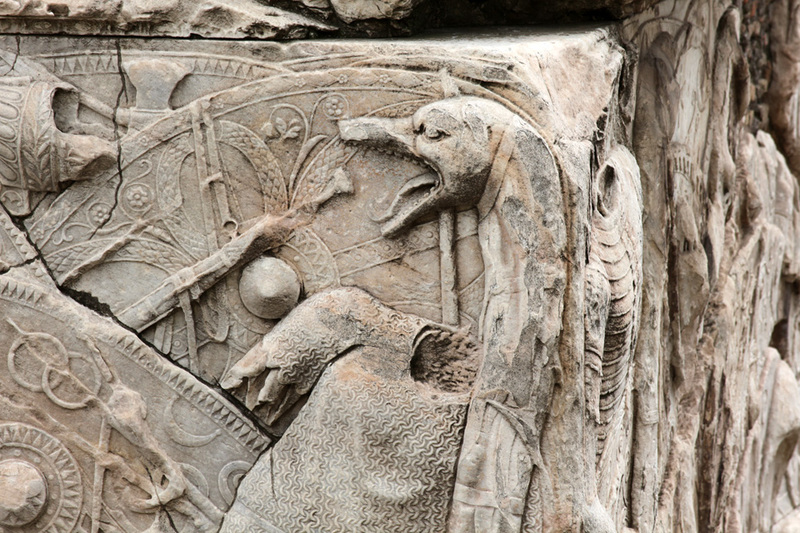 The eagles were of some importance to the overall iconography of the Column; they are consistently represented on Trajanic coins that depict the Column. 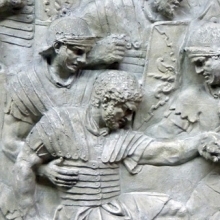 For the state of the reliefs on the pedestal in the late nineteenth century see the photographs published by Cichorius. *Measurements cited above for individual components of the pedestal are derived principally from Florescu (1969). 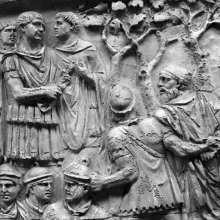 The pedestal of Trajan's Column in Rome. 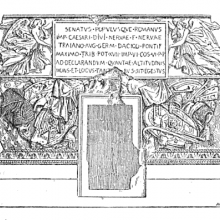 The inscription and reliefs from the pedestal. “I thought it essential . 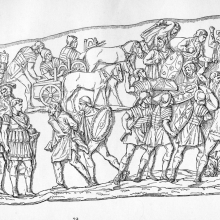 . . to try to ascertain whether the column did nor did not actually contain a sepulchral chamber, such as we find represented in engravings of the sixteenth century. 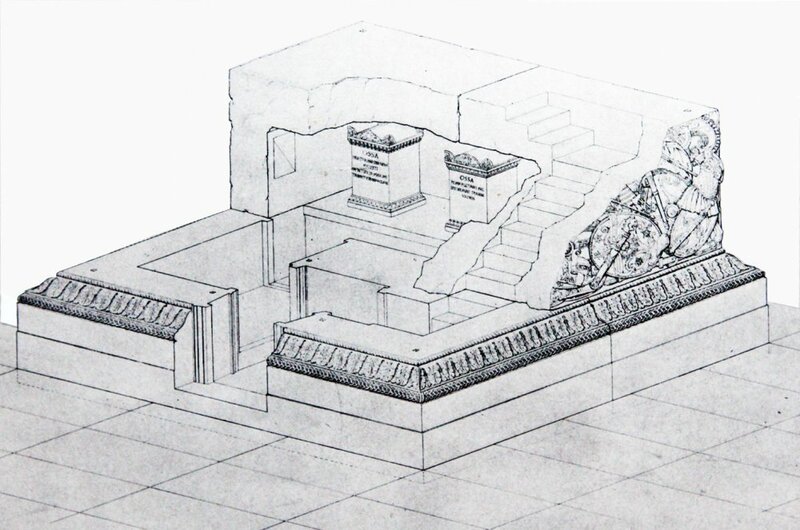 “On the southern side of the pedestal a loophole, like those openings which admit light into the spiral staircase of the column, was still visible, although it had been walled up from the inside. And on the left side of the vestibule, traces were visible of the joints and architrave of a door which had been walled up and plastered over as late as the second half of the eighteenth century. 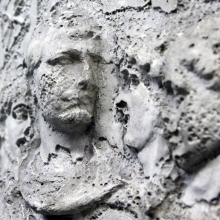 “Mediaeval hands had excavated a grotto in the concrete foundation of the column. This grotto contained eighteen skeletons. 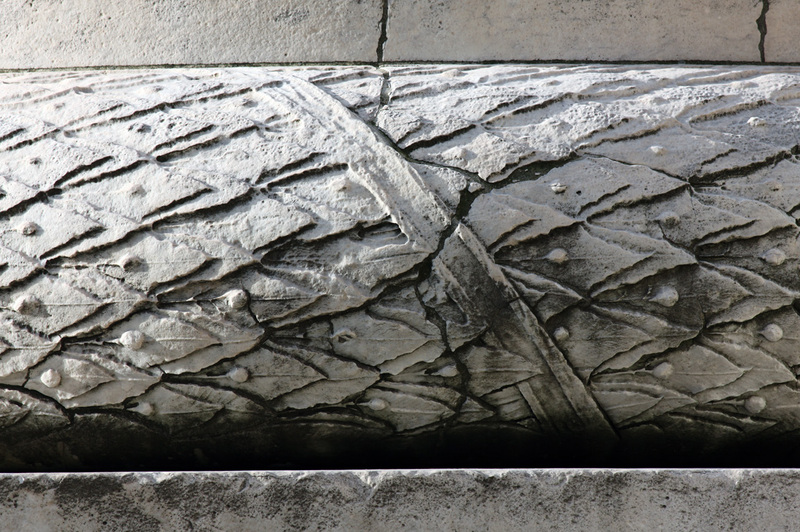 I removed them and filled them up with solid masonry this cavity, which was dangerous to the stability of the monument. 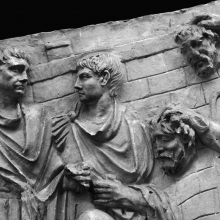 “Then I turned my attention to the mysterious door: I removed the plaster, cut away part of the masonry, and found it led into a small atrium turning to the right, where a second door was discovered. This second door led into the funeral chamber. From the inside of this chamber I could remove the bricks closing up the loophole which had first attracted my attention. The chamber is about ten feet long, five feet wide, and six feet high. In it could be traced the remains of a funeral table two and a half feet high and four feet wide. This had been cut away in the middle ages in order to widen the available space when the column was used as a belfry for the church of S. Nicola de Columna. 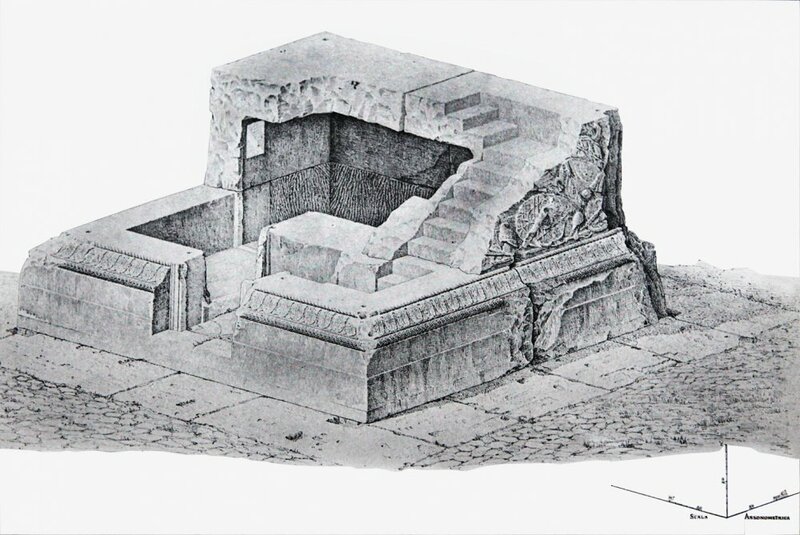 “Just above the mark in the north wall of the chamber I noticed that holes had been drilled in such a way as to indicate that not only one but two urns had been kept in place on the table. 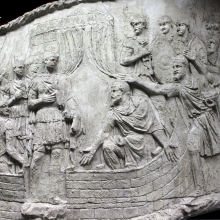 My conclusion was that the two urns might have contained the ashes of Trajan and his wife Plotina.” (1907a: 2-3). 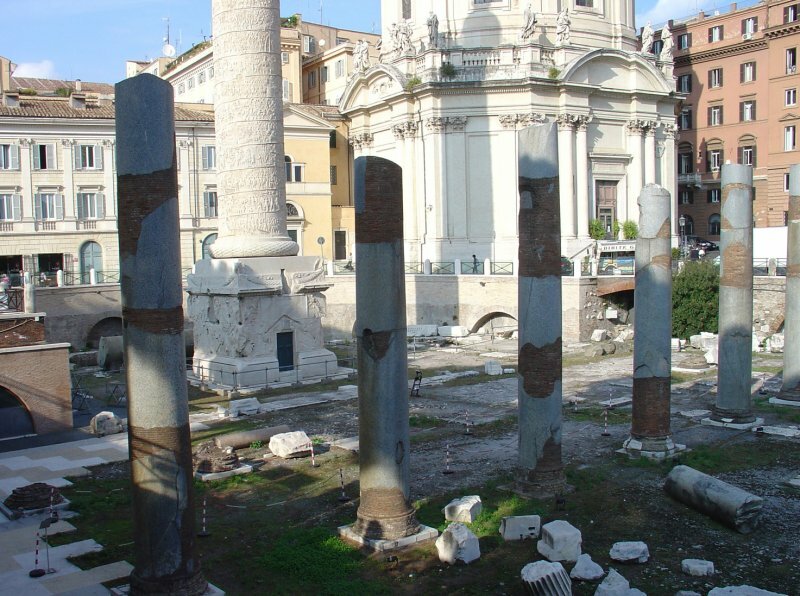 Boni goes on to argue that Hadrian built a temple “in front” of the Column of Trajan, citing evidence from an inscription found in 1696 nearby. 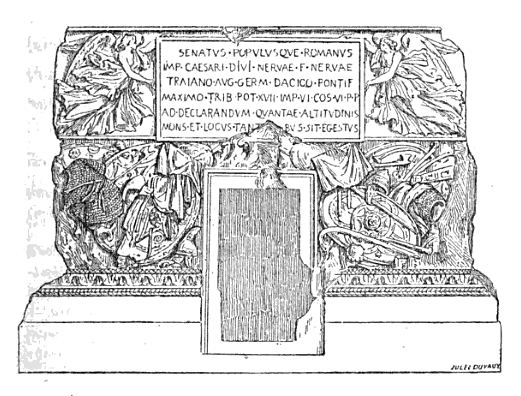 He concludes this commentary by stating that “the main object of the column was a sepulchral monument” (1907a: 3). Boni’s illustrations of the interior of the chamber are included in the photo gallery below. 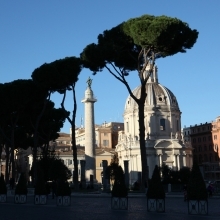 Conceived as an example of the Italic Tuscan order, the Column of Trajan has a prominent base, dominated by a robust convex torus that sits upon a plain, unadorned plinth. 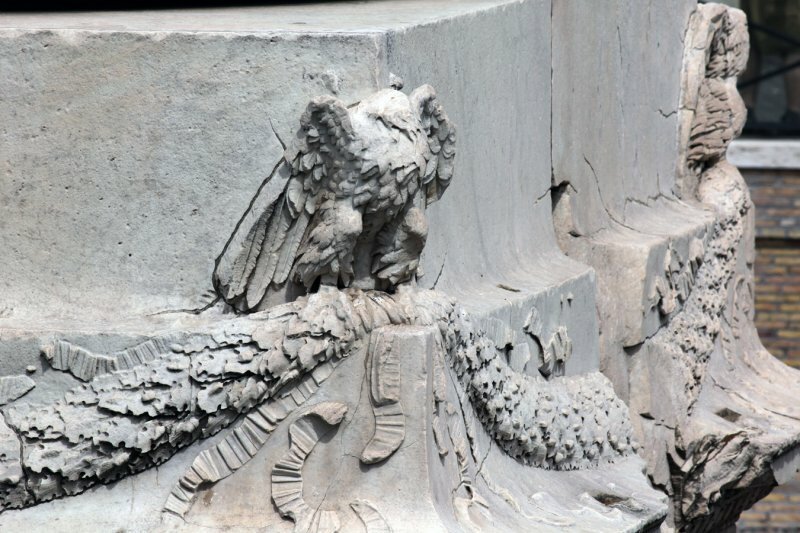 The plain faces of the plinth help to draw special attention to the eagles that were once carved into each of its four corners. 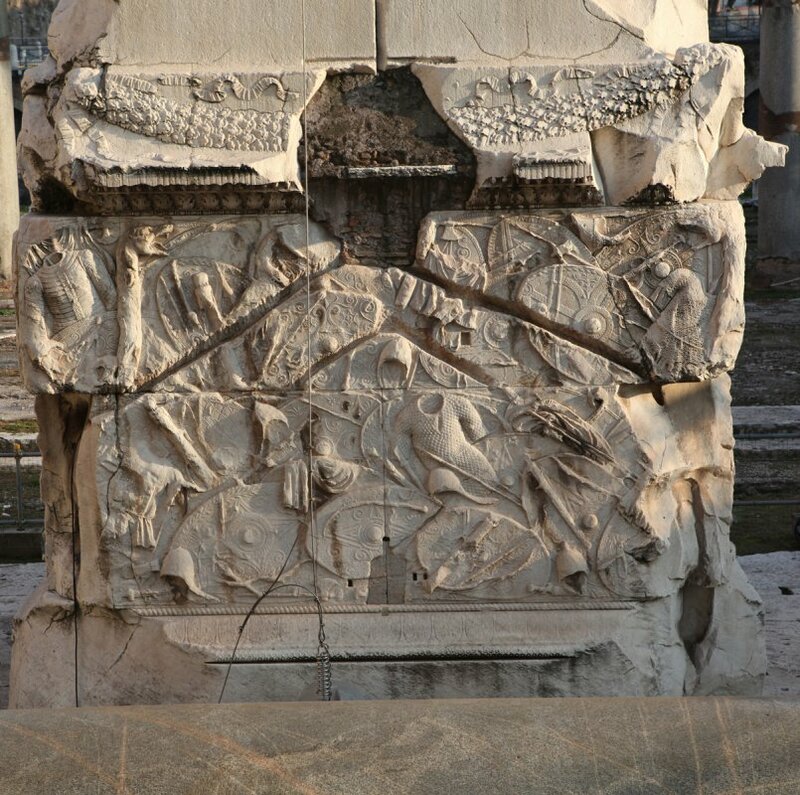 The torus molding of the Column is carved with a compact pattern of laurel leaves and berries, so that the Column appears to sit on a crown of laurel, certainly referring to the corona triumphalis that was worn by the emperor during a triumphal procession.